Life Honestly is one of the most authentic books I have read this year. It captures the reality of women of all ages and the challenges of modern life. It’s a collective book by The Pool featuring the essays of brilliant writers like Lauren Laverne, Bryony Gordon, Daisy Buchanan, Dolly Alderton, Caroline O’Donoghue, Marisa Bate and so many more amazing women. 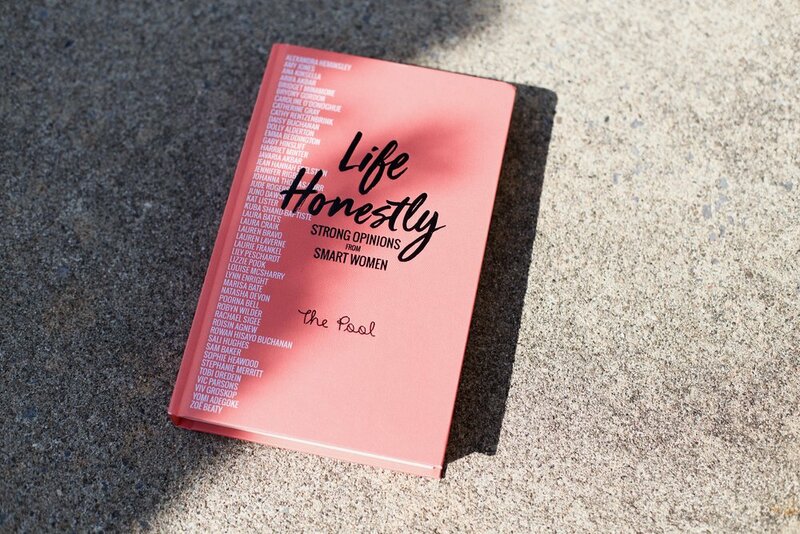 It is divided in chapters that cover everything from money, to love, to life lessons, to politics and even parenting. It’s a very inclusive read that will make you think, inform you, and help to create opinions. The book makes you see life for what it truly is, with personal anecdotes and research facts, all the while giving you useful advice on how to navigate through it. When reading the section on money, I got anxious learning about pensions and savings, but finished the chapter feeling more decided and hopeful I could make better decisions in the future. It’s the perfect guide to give to your best female friends or your little sister, but it’s also wonderful to rely on if you want to feel less lonely. The essays talking about women struggling to find a job or keep their advantages at work once they had babies really crushed my heart, it’s a reality I really didn’t know much about. The essay titled ‘10 Best Things About Being a British Woman’ made me laugh out loud and wish I was a British woman. All in all, it was a superb read, and I feel already more equipped to face “adulthood”. I highly suggest you pick up a copy of the book or read The Pool’s articles. Reading their pieces is a great way to encourage the work of female journalists and on a platform that supports women in so many ways. I’m so happy to live in a time when books like this one exist.